On 26 February, a man in his 30s was shot five times as he was walking out of a shop in the M1 Retail Park on the outskirts of the Louth town. It’s understood the shooting was connected with feuding gangs in the area. This morning, gardaí arrested the four men (aged 23, 23, 27 and 49), and they are currently being detained at Drogheda and Dundalk Garda Stations under Section 50 of the Criminal Justice Act 2007. 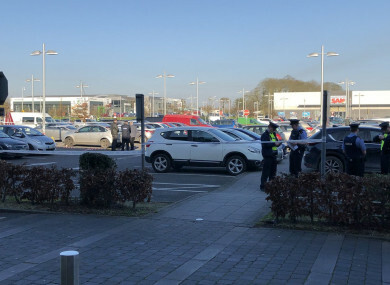 A number of premises were also searched in Drogheda this morning in connection with the investigation, gardaí said. Email “Four men arrested over Drogheda shooting”. Feedback on “Four men arrested over Drogheda shooting”.